Konami is pretty adept at giving its franchises legs. Metal Gear snuck onto the Nintendo Entertainment System in 1988 and brought stealth action gaming with it. 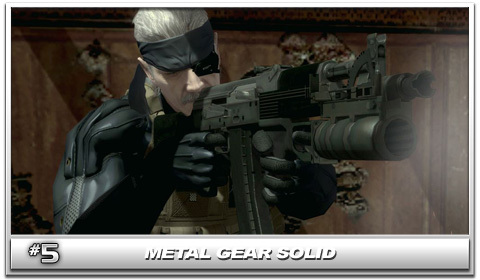 Ten years later, Konami updated the franchise in 3D on the PlayStation with Metal Gear Solid. Today, Solid Snake enjoys a rabid fan base every bit as enthusiastic as that of Final Fantasy or Zelda. Few other series promise such high production values, eye-glazing graphics, and deep (convoluted?) storylines. Spanning 12 systems, seven core games, eight updates, four spinoffs, comics, and a proposed movie adaptation, Metal Gear is one of the few franchises that consistently lives up to its hype. 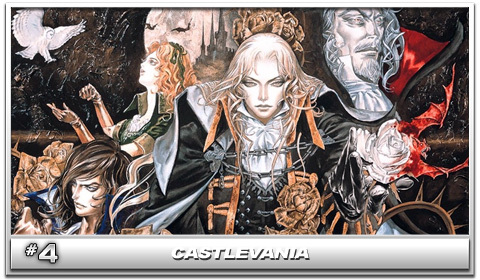 Loosely based on Dracula folklore, the Castlevania series was one of the progenitors of the gothic-horror genre in videogames. The earlier games were platformers focusing on the exploits of the whip-wielding, vampire-hunting Belmont Clan as players struggled to eliminate every last trace of the supernatural from this world. The series saw a large change when it made the leap to the 32-bit era with Castlevania: Symphony of the Night. That game introduced what has been dubbed the "Metroidvania" style of gameplay (due to its similarities to the Metroid series), as well as RPG elements such as hit points, level progression, and spell casting. This formula has further been expanded with the Game Boy Advance and Nintendo DS iterations in the series. Although Castlevania has yet to make a fully successful transition to 3D, it is unquestionably one of the most consistently jaw-dropping franchises in the history of videogames. Final Fantasy helped popularize RPGs and set the standard by which all other games in the genre are measured. 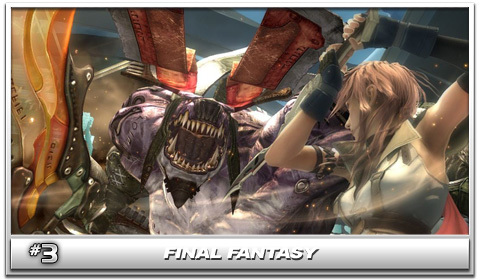 Though each game bears the same name and some similar aspects, each Final Fantasy in the main series is a unique world unto itself. The series has spawned a number of spin-offs, but never a true sequel until the 2003 release of Final Fantasy X-2. Square's RPG series has dominated for two decades and on numerous consoles. Famed for spectacular FMV cut-scenes, evocative music and engrossing stories, Final Fantasy is easily one of the greatest franchises in videogames. When discussing notable gaming franchises, few are as well known for their indisputable quality as The Legend of Zelda. When the first game came out in 1986 it introduced not only the revolutionary ability to save game files, but also the first open-ended world that could be tackled in any way the player saw fit. Zelda created the action-adventure game genre and inspired game design for decades to come. 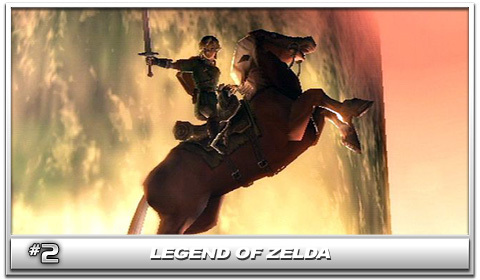 In the mid-1990s the series made its transition into 3D with the Ocarina of Time, and the gaming world was changed forever. With the recent release of Twilight Princess on the Wii, the franchise has further cemented itself in the annals of history. The Legend of Zelda franchise truly has become a legend in its own right. What else must be said about Mario? Without this plumber, none of us would be playing videogames today. Super Mario Bros. is the game that brought the entire industry back from the dead in 1985. And though Nintendo continues to plumb this guy for all he's worth, the game's in which he appears have been consistent enough to keep us all Mario fans for two decades. 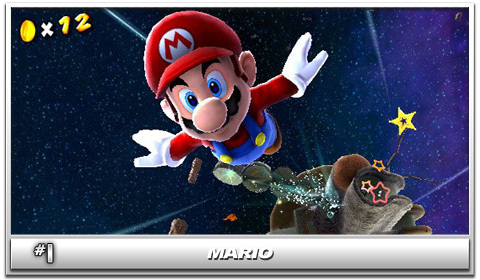 Next year will see the release of the first proper Mario game in five years: Super Mario Galaxy. When IGN Direct-to-Brain compiles its list of top game franchises in 20 years, expect Mario to be back in the number one spot. 這 25 名中, 任天堂的遊戲就佔了5名, 可見其對遊戲業界的影響.